If you're worried about your child's toys containing harmful chemicals, or you just want to find something more environmentally friendly than plastic, then take a look at Trzy Myszy, or "Three Mice" from Poland! 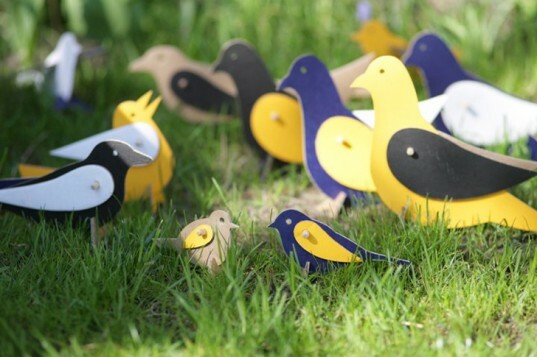 Their collection of cardboard toys and furniture for kids is produced in Poland to European standards -- and each thoughtfully designed piece offers an alternative to heavy, bulky toys that do not biodegrade. Able to be recycled once outgrown, you don't have to worry about sacrificing your ecological footprint for playtime. Designed by Warsaw Academy of Fine Arts graduates Farida and Chris Dubiel, Three Mice’s toys are tested by children and crafted exclusively in Poland. Brightly colored and lightweight, their cars, homes, and furniture can be moved effortlessly by youngsters. Easily folded and stored, clean-up is far simpler than with heavy plastic models, and the five-ply cardboard makes them sturdy and able to withstand a beating. Most importantly, the toys foster creativity and imagination with their simple designs. Three Mice’s toys have been featured at the National Museum in Warsaw, the ?ód? Design Festival, and the “Dziecinada” La Biennale di Venezia festival. Their “House” won them the top prize at the Children Friendly Toys contest organized by the Factory of Toys in Kielce as well as the “Must Have” collection at the ?ód? Design Festival this year. Toys can be ordered and shipped anywhere in the world through the Three Mice website. Designed by Warsaw Academy of Fine Arts graduates Farida and Chris Dubiel, Three Mice's toys are tested by children and crafted exclusively in Poland. Brightly colored and lightweight, their cars, homes, and furniture can be to be moved effortlessly by youngsters. Lightweight and non-toxic, these birds are ready to fly with a touch of imagination! Easily folded and stored, cleanup is far simpler than with heavy plastic models, and the five-ply cardboard makes them sturdy and able to withstand a beating. The company offers an array of eco-friendly alternatives to plastic and metal toys. Most importantly, the toys foster creativity and imagination with their simple designs. Three Mice's toys have been featured at the National Museum in Warsaw, the ?ód? Design Festival, the and "Dziecinada" La Biennale di Venezia festival. 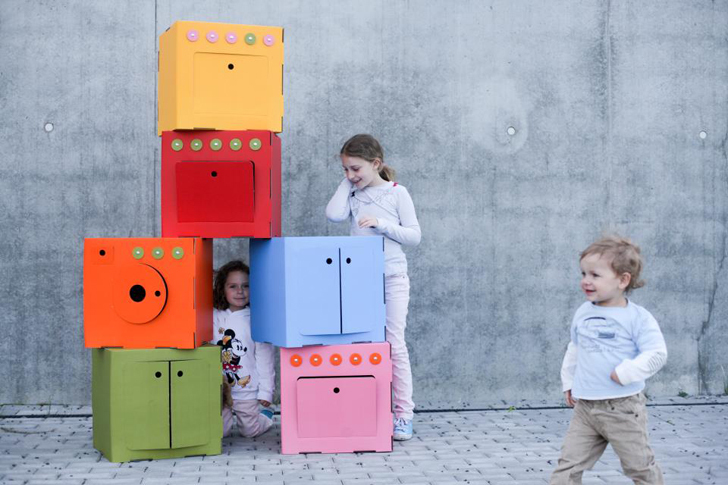 Their "House" won them the top prize at the Children Friendly Toys contest organized by the Factory of Toys in Kielce as well as the "Must Have" collection at the ?ód? Design Festival this year.